It’s not always easy to empathize. Something can be so deeply ingrained in you through your upbringing that it’s near-impossible to understand that it hurts people. It can be a tough road to changeville. Or you can just have someone do it back to you in the most horrifying way possible. It’s like a disciplinary spray-bottle, only the bottle is The Face. I’ve got a new Metroid-themed shirt up on Shark Robot! They’re taking pre-orders for the next 13 days, after which it might disappear, so getchu one! Oh the karma, it makes you wonder, whose really the good guy? Who knows, maybe the ghosts just wanted to talk, they needed to talk to someone about their hospitalized mother, and then he turns around and BLUUUUUEEEEEE!!! Its only what he deserves. Is it Halloween already? Cause the nightmare fuel is only 2.99 a gallon. 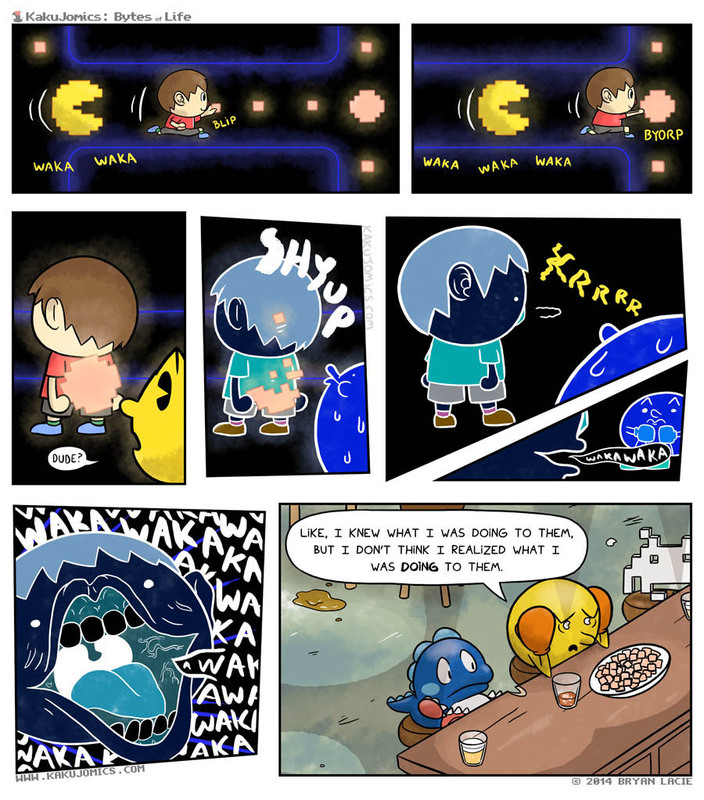 Wakka Wakka.